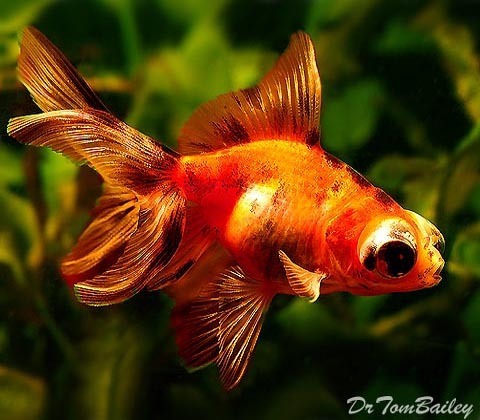 Above: Is a gorgeous premium quality Calico Telescope Goldfish, swimming in one of our aquariums, when one of us snapped this picture. This is not a rare fish, but you never see ones like we have elsewhere. Maximum Size: In aquariums, Goldfish can grow to be about 8" long, including their tails.